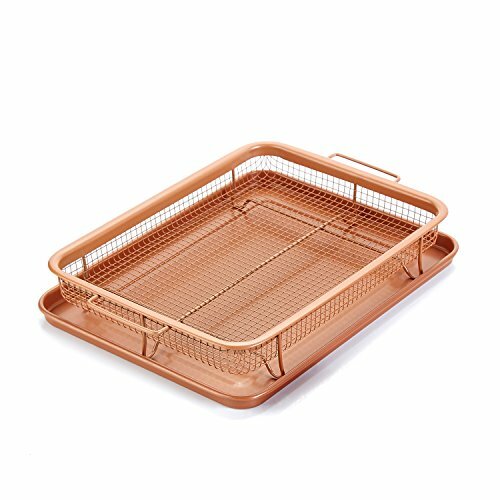 Gvode nonstick copper crisper set turns the Oven into an air fryer, our mesh basket even can use on stovetop and Grill. To get air fry foods without flipping; Less Fat & Calories! mozzarella sticks and breaded shrimp perfectly without or less oil or grease! Family sizes: Mesh Basket 13.2 " X 8.9" Copper Tray 14.0" X 10.5"；PS:The tray have been improved since 6th Feb.